Yes, I’m slightly distracted by the French Open. And will be for the next week or so. Fortunately, I’ve a whole collection of links I’ve neglected to post over the past few weeks. 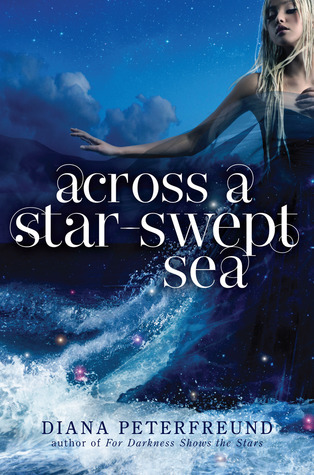 I’ve not entirely made my mind up over Mary Robinette Kowal‘s Glamourist History series – I admire how she’s managed to blend fantasy with the Regency setting pretty much seamlessly, but the characters left me slightly lukewarm in the first book. However, I recently borrowed the third from my library on a whim (okay, it was the pretty cover) and ended up enjoying it more than I expected – so maybe I’ll get her most recent release? 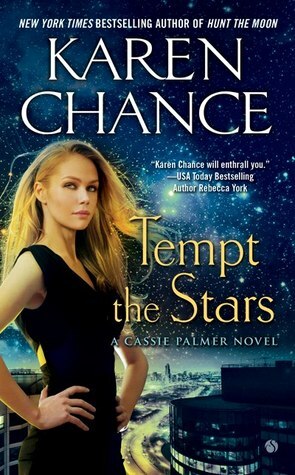 My not-very-helpful ramblings on her books aside, she’s one of those authors with an online presence that impresses, and I really liked her blog series on debut author lessons (link to the one on covers). Lots of interesting stuff there. It’s no secret that I’m a Sarah Rees Brennan fan, and I love the free online serial she’s been posting at semi-random intervals. Even though I’m not a serial kind of person. She totally tricked me into loving this one. Anyway, two new installments of TURN OF THE STORY recently(-ish) popped up – Elliot is such a character. I hope she releases a full-length book when she finishes the serial – I would definitely buy. […] I regret that I didn’t have more space with the Alanna and Daine books to develop the characters, I concentrated more on the plots. I don’t feel like I do plots well and I would have liked to have expanded on the characters more in those books, but in those days they were holding us to a 200 manuscript page per book limit, very strictly, so it’s not like I had the chance then and could have done it. You know what? I’d love to see what she would have done with the Alanna books had she not had a page limit. And to close off because it’s turned out to be a bit of a nostalgic collection of links: It’s 20 years since Julia Quinn‘s first historical romance was accepted by Avon – loved this letter she posted. This is like a piece of romance history. I totally fell for her Bridgerton books – admittedly, I haven’t been as enamoured of her more recent Smythe-Smith books, but they’re still good frothy fun. Picking up where we left off, here are books I read in August last year. And I only read four during the ENTIRE month. Huh. It also looks to have been a bit of a romance month. As always, reviews were posted on Goodreads originally, but with additional comments in italics this time around. I really like Elizabeth Mansfield’s historicals – she gives good romance within the length constraints dictated by categories. This was a traditional regency with an American heir being the main plot point. It was a decent read – I liked the relationship between the h/h and how the story eventually played out. Yes, it was a bit predictable and the secondary romance didn’t do anything for me, but overall, I enjoyed this. And the rating of three stars probably holds true, i.e. I liked. Or in other words, I enjoyed it while I was reading it, but only have a vague memory of the plot and characters eight months later. Well, it’s a Julia Quinn so it has to be a fun read – it delivered on that front, her trademark Quinn humour made me smile. I liked revisiting the Bridgertons (it’s been too long!) and loved seeing the Smythe-Smiths from another angle. However, I struggled somewhat trying to remember the h/h a couple of weeks later. Fun and frothy, but not necessarily memorable. 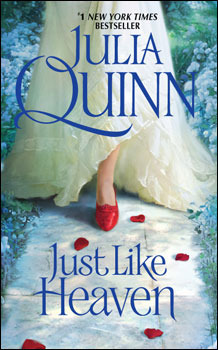 Julia Quinn is still an auto-buy author for me, but I don’t rush out to buy her books on the first day of release any more. Her Bridgerton books are still my favourites. A slightly convoluted murder mystery with a rather unbelievable villain. However, while the story started slowly, it built up to an ending that had me buying the next book, Breaking Cover, to find out what happens next. This was my first Kaje Harper, and I suspect I picked this up based on a rec on a review site somewhere. I liked it, but it was the second book (below) that sealed the deal. The setup reminded me slightly of Josh Lanyon‘s Adrien English series – and comparisons against the AE series always leave the other books looking slightly lacking. 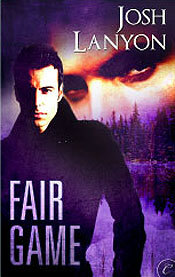 Having said that, I thought the suspense was balanced well against the romance elements in this book. Generally, the relationship was more angst-y than the prequel Life Lessons, which is always a plus for me! I did like this book, and have added Kaje Harper to my list of authors to read. 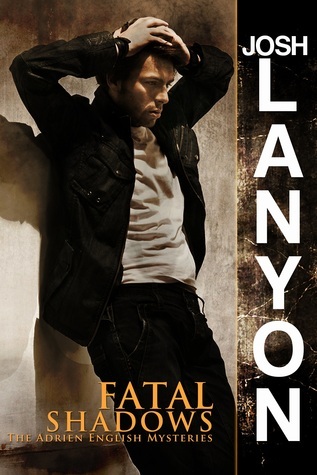 I think there’ll be another book in this series coming out soon – I hope so, as this is shaping up to be a good romantic suspense type of series. Then again, my weak spot is relationships that develop over the course of several books, as opposed to insta-love + HEA in one book. 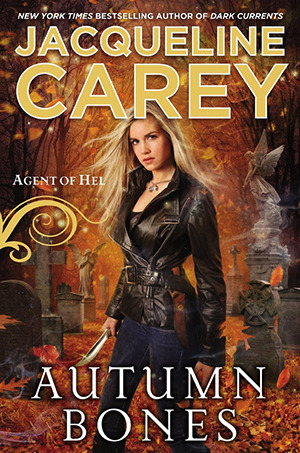 I can’t believe it’s May already – on the other hand, yay for the May releases finally arriving! 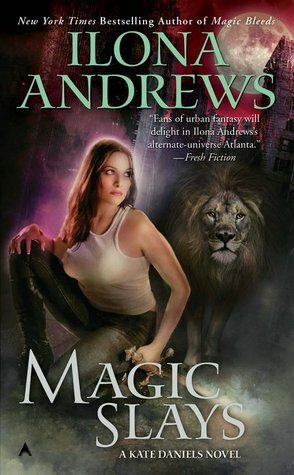 Ilona Andrews‘ “Magic Slays” (urban fantasy): Well. Insert inarticulate gurgling noises here. Yeah, I’m madly excited about this one, could you tell? I love this UF series, it’s up there with hmmm… Seanan McGuire‘s Toby Daye and Patricia Briggs‘ Mercy Thompson and Alpha & Omega books for me. Have you read the Curran POV for the last scenes in “Magic Bleeds” on the authors’ blog, by the way? It’s whetted my appetite very nicely for this. Nalini Singh‘s “Kiss of Snow” (paranormal romance): Second set of inarticulate gurgling noises. And if you’re going “Huh?”, you obviously haven’t been reading the Psy/Changeling books. We finally get Sienna and Hawke’s story, and I cannot wait to see how their romance plays out – they have pretty much stolen all the scenes where they’ve made an appearance in previous books. 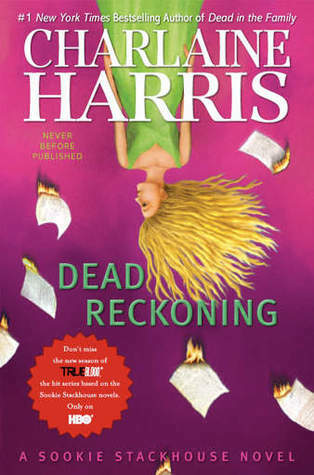 Charlaine Harris‘ “Dead Reckoning” (urban fantasy): It’s the eleventh book in the Sookie Stackhouse series, and well, I’m still reading. IMO, the last three or so books have been slightly uneven, but there’s something about Sookie’s world that reels me in. I am loving the quirky and charming US cover art as always, and will probably go out of my way to get my hands on this edition – I don’t think I have yet bought any of the UK editions (which feature the “True Blood” cast). Also, did Ms Harris say she was wrapping up the series soon, or did I just make that up? 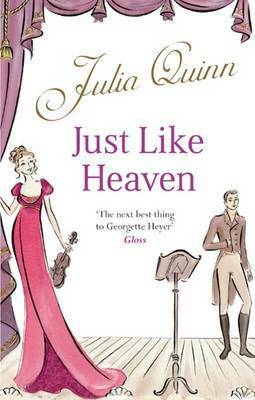 Julia Quinn‘s “Just Like Heaven” (historical romance): A new Julia Quinn is always something to look forward to, and I admit that part of me is happy she’s returning to her Bridgertons world. Or okay, officially this is the start of The Smythe-Smith Quartet. I was going to have a moan about the UK version (cover on the right) being out later, and then realised it was only a couple of days (May 31 v. June 2 for the UK edition) – yeah, need some sleep. And my maybes for May – Kevin Hearne‘s “Hounded”, which I heard of when Nath added it to her wishlist, and Thea Harrison‘s “Dragon Bound”, which has had the romance blogosphere buzzing. Yes, I know there’s only about a week left in May, but gosh, I feel as though I’ve been playing catch-up for the whole month. Especially today, when I didn’t actually hit Snooze on my alarm clock this morning. Yep, I turned it right off. I did make it into work at a reasonable time (ahem), but I’m now going to be incredibly paranoid about hitting the right button in the mornings! Richelle Mead’s “Spirit Bound” (YA urban fantasy): Fifth in her incredibly popular Vampire Academy series. It’s like the new Twilight. Well, not quite, but the impression I get is that she has a massive fanbase. 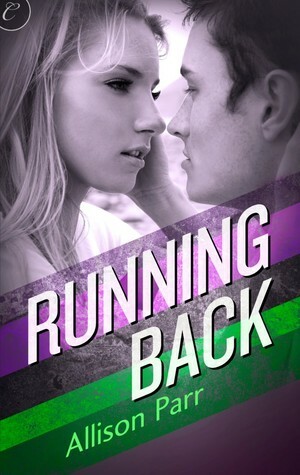 I’m getting this book, because I want to know what happens next, but I think her Georgina Kincaid books win out for me. She’s a pretty prolific writer (I mean, three series on the go), rather impressive. Kelley Armstrong’s “The Reckoning” (YA urban fantasy): Final book in her Darkest Powers trilogy, though she is going to write a spin-off trilogy, IIRC. I have this one already, but I haven’t read it yet. Charlaine Harris’s “Dead in the Family” (urban fantasy): Latest in her Sookie Stackhouse series, how many books is it now? I’m probably going to buy, but I haven’t had the urge to run out and get it on release date. And then two historical romances that I want to get, but I still have the previous book sitting in my TBR pile, which means I really shouldn’t: Julia Quinn’s “Ten Things I Love About You” (out May 25) and Lisa Kleypas’s “Married By Morning” (also out May 25). Ack. I may actually even be two books behind in the Kleypas series. Sigh. I think I may have to wave the white flag at my TBR pile. The good news is that I love the UK covers for both of these, and the UK release dates are June and October respectively. I never thought I would be glad for a later UK release date.